My story is I booked a date with P2,000 for use of tents for wedding celebrations. The agreement was that I will get tables with umbrellas but at the time of agreement, tables were not yet available. The written quotation did not include umbrellas. I was promised that the tables shall be availed with umbrellas. During the follow ups the umbrellas were said to be unavailable and I was given a go ahead to look for the new suppliers. I wanted to reclaim my money but through our arguments we reached a consensus that they will refund P1,600. Until now I haven’t received anything. They’re saying I will only get the money when they have generated enough cash but no deadlines set. I just wanted to know the legal proceedings to this matter, if you were to help are you going to charge me and if so how much. I’m not sure why you agreed to a refund of only P1,600 when they actually gave you nothing for your money? You deserve the full P2,000 without any nonsense about them not having “generated enough cash”. They breached the contract they had with you and they’ve breached the Consumer Protection Regulations as well by not offering you a full refund. I suggest that you write or fax them a letter saying that they completely failed to offer the service you paid for and that you require a full refund from them within 7 days or you’ll take whatever legal action you feel is necessary. If they fail to respond fully you should go to the Small Claims Court with all the paperwork you can find and present your case. See what they think about a company that refuses to give a full refund to a customer who has been abused! One last thing. We don’t charge consumer anything. Not ever. We never have done, we don’t now and we won’t ever. In the Hitchhikers Guide to the Galaxy, Arthur Dent has discovered that his house is due to be demolished. Not all companies make things this difficult to find but some certainly seem to go out of their way to hide or obscure them. The furniture stores are a very good example of this. They go out of their way to make their store credit agreement both difficult to understand and even difficult to see. In a recent experiment we sent mystery shoppers out to investigate. Each of them expressed an interest in a household item and in buying it on credit. Every time they asked to see a copy of the credit agreement they were told no, they could only see that when they sign it, not before. Without exception. That’s the equivalent of hiding the contracts in the bottom of a locked filing cabinet stuck in a disused lavatory with a sign on the door saying 'Beware of the Leopard'. I’m afraid that cellphone network providers are just as bad. Do you have any idea how much it costs to make calls on your cellphone when you travel abroad? Neither do I. And neither do the network providers. A few months ago a reader approached us with a nightmare story. Her son had travelled to South Africa and taken the family iPad, a Mascom 3G-enabled one with him. After he’d been there for about a week she got a call from Mascom warning her that he’d already incurred P20,000 in roaming charges and she might want to tell him to stop web-surfing. Startled, she did exactly that and he stopped surfing immediately but this wasn’t the end of the story. Their bill for the iPad that arrived at the end of the month was for a jaw-dropping, staggering, heart attack-inducing P280,000, all for one week of web surfing. Obviously the first thing they did was demand a detailed bill from Mascom that justified this astonishing bill. No luck. That was impossible. All Mascom could say was that they’d received a massive bill from Vodacom and it was up to the customer to pay it. It turned out that the problem was that the son had been an area where Mascom’s preferred roaming partner, MTN, didn’t offer a signal so he’d innocently connected to Vodacom instead, not realising that the data download cost was something like 20 times higher with Vodacom than with MTN. This was sorted out in the end, when Mascom did the decent thing and only charged them the original P20,000 they warned them about. That’s still a fortune but they understood that their son had downloaded a large amount of data before being asked to stop. But it’s a lot better than P280,000. I need to say clearly that this isn’t just a problem with Mascom. 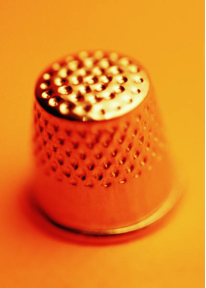 I’ve heard of just as many cases with Orange customers facing outrageous bills when they roam. It’s no better when you phone them. We called both the Mascom and Orange call centers and were told things like “It’s quite expensive”, that they “don’t have specific charges” and “I can’t tell”, “We don’t know” and “I can’t find out.” The only roaming rates available were Mascom’s MTN rates, nothing else. It seems like they’re keeping their roaming rates in the bottom of a locked filing cabinet stuck in a disused lavatory with a sign on the door saying 'Beware of the Leopard'. It might seem that I’m picking on Mascom and Orange but I’m not, I’m just using them as an example of companies that feel free to charge us amounts that we never agreed to, couldn’t possibly agree to because Mascom and Orange don’t seem to know themselves. Maybe this is another opportunity for a regulator to step in? I’m don’t like over-regulation but there are times when we consumers need someone with authority to step in and get rough. NBFIRA are doing it, BOTA are doing it and even the Bank of Botswana are doing it. You don’t think banks publish their tariffs of charges in the papers every so often because they’re nice people do you? They do it because they’re obliged to do it by the Bank of Botswana and if they don’t the Governor will visit them carrying a big stick and hit them with it until they obey. Maybe our newest regulator, the Botswana Communications Regulatory Authority, could use this opportunity to visit the cellphone network providers with their big stick, remove the sign saying “Beware of the Leopard” and force them to tell us what they’ll charge us when we roam? And if they don’t keep they can just hit them repeatedly with the stick until they do. In 2011 I travelled to China and ordered some furniture (table and couches) and used a local based company which also has office in Guazhong China for shipping. My goods arrived in March 2012. The table was ok, unfortunately the colours of the couches were not the ones I had ordered. Instead of supplying beige & gray the company supplied beige & orange. I notified them that I would not accept the couches because they were of wrong colour and did not match with any of my household items. The manager at the Botswana office told me hat he will sell the couches and refund me my money back and I have been waiting since. Everytime I called him he told me the couches have not ben sold yet. Therefore my patience has run out and so I want to take the matter to the police or small claims court because it doesn’t look like I will ever get my money back. This definitely sounds like a case for the Small Claims Court. Take all the paperwork including any written agreements, orders, invoices, delivery notes, whatever you can find and present your story and see what they can do for you. What you might also consider is preparing to do this and then, at the last minute, telling the company that this is your plan. See if that scares them into action! However I still don’t understand why people buy furniture from such a distance. Isn’t it a bit like buying a car from another country? If the wrong products are delivered what can you do about it? We hear of more and more people who are trying to save money or get greater variety by buying from far-flung countries only to have problems very similar to yours. Is it really worth it? Hi, please can you clarify if Riverbanks university is a fraud or not? It most certainly IS a fraud. Their web site has a section showing what they claim are their faculty members but the photos they show stock photos, not the people they claim to be. They're also the same pictures used by other known fake universities. They also claim to have been accredited by “UCAIS” but this isn't true, they’re not really accredited by any legitimate body. However the biggest clues are in the online conversation I had with one of their advisors. I asked how quickly I could get a Masters degree from them. I was told that “The process will take 10 working days for you to receive the documents” and that “Its an instant program that you are applying for. Its an experience based program. No where you would take classes. The fee for the process will be $298”. So yes this is a fraud. Nobody gets a real qualification without studying, completing coursework or sitting exams. Anyone who buys one of these fake degrees is either foolish, corrupt or perhaps both. Riverbanks is just the latest in a long line of fake establishments offering fake degrees. Others include Rochville, Headway, Northern Port, Ashford, Belford, Corllins and McFord. Anyone claiming a degree from one of these and all the other fakes is a fake themself. It’s about time that more employers actually examined the qualifications of their employees in more detail and then fired anyone who got a job or promotion because of a fake degree. And then called the police and have him or her charged with fraud. Suresh, at the Knack hardware store at Kgale Shopping Center for always being extremely welcoming and helpful. More on (moron?) Riverbanks "university"
I'm not the only one who's noticed this new fake "university that's offering fake qualifications for money and without any of the usual academic requirements like studying, coursework, exams and a sense of morality. MLM Skeptic has as well. See here for an analysis of how these scammers have misused CNN to market their fake qualifications. In comes an email advertising a "Motivation Workshop (including Strategic Laughter)". You can tell quite quickly that it's hogwash when you see the "Outcomes" they promise. The Law of Attraction is New Age nonsense of the highest order. Numerology is Dark Ages claptrap. "William Fry M.D. a Stanford University Medical School Professor has studied the effects of laughter upon the human body. He says that laughing 100-200 times a day is the cardiovascular equivalent of rowing for ten minutes." Let's do the maths. If you laugh 200 times in a 16 hour day that means you laugh once every 4.8 minutes. If you do that in MY office I'll call the Police and a doctor. And isn't it simpler just to row for 10 minutes? "Researchers at Indiana State University studied women who laughed out loud to funny films, as compared to those watching a boring tourism video. They found that when samples of Natural Killer immune cells (which attack cancer cells) were mixed with cancer cells, the immune systems of the people who laughed out loud were BOOSTED BY UP TO 40%"
This is nonsense. This is ONE experiment done in 2003 on a sample of 33 women, divided into two groups that showed an decrease in their self-reported levels of stress if they had been amused by a funny film. An experiment that was undertaken ONCE with a tiny sample group that showed that funny films amuse people and make them feel a bit better. And from that we are meant to believe that laughing in the office will make us more productive? I've no problem with laughter and happiness, clearly they're both good things in and out of the office. But ascribing all these miracles to laughter is hogwash. Utter hogwash. And if you want to laugh at something? Just laugh at the claims these people make. The story is, in fact, true. There was a couple called Allen and Violet Large who did indeed give away their lottery winnings but this was in 2010. "Editor's note: This news story was first published in 2010. Internet operations continue to link to this article to solicit funds from unsuspecting targets. The lottery funds have been distributed to charities and there is no reason to pursue any emails you may have received on the matter." Scammers really DO rely on their victims being ignorant and incurious. Wonga are in South Africa. Let's keep them out of Botswana. You may have seen the adverts for Wonga.com on DSTV. This controversial British payday loan company, infamous in the UK for charging annual percentage rates of over 4,000% is now operating in South Africa. They've already inspired 362 entries on HelloPeter.com in a year. Not bad going. Let's hope they don't get their claws into Botswana as well. On their web site they offer an online calculator showing how much you'd pay to borrow a particular amount over a period of your choice. Take a look at this example. Look closely at the numbers. The smallest possible loan (R100), borrowed over the shortest possible period (2 days), would incur a percentage "interest & fees" charge of 74%. Who can you trust to protect you? Who can you trust to protect your interests? Maybe even above their own? With a little luck you have family and friends who’ll look after you but don’t ever think that someone selling you something will put your needs ahead of theirs. I‘m not saying that everyone is trying to rip you off, on the contrary, just that they’re always going to put their interests first. He didn’t mean “self interest” to mean selfishness, just that the “the butcher, the brewer or the baker” are always going to put the needs of their family above anyone else’s, as any of us would. Of course smart butchers, brewers and bakers realise that the best way to do this is to treat us fairly so we keep coming back to buy their meat, beer and bread. So understanding that even the most decent shop owner is going to put his or her interests above yours, who can you trust? I don’t know, but I CAN tell you who you should NOT trust. The list is a long one. This, you might have guessed, is entirely untrue. It’s yet another Internet hoax whose only purpose is to spread as far and wide throughout the Internet. This particular example has been circulating for years and the South African example is just the newest version. So don’t trust anything from the Internet you read on your computer, tablet or phone unless you have a good reason to do so. You should also mistrust anyone who offers you computer software at less than the normal price. I heard recently of a guy handing out leaflets at junctions in Gabz that said “get your computer fixed at home or at work”. So far so good, quite enterprising you might think, but he spoiled things by also suggesting in the leaflet that he could activate Windows for a mere P50 and Microsoft Office for P80. That seems like a real bargain, but only because he’s trading in stolen property and that’s no bargain at all. There is no legitimate way you can get Windows or Office installed for as little as that. He’s not the only one of course, there are plenty of people who’ll offer licenced software at unbelievably low prices, all of them trading in stolen goods. If they’re happy to steal from Microsoft, do you really think you can trust them not to steal from you as well? And they are stealing from you, don’t be misled. The stolen software they give you isn’t yours either, but they have your money and they’re unlikely to give it back. And it’s not just guys at junctions and on Facebook who do this. I heard of a major store recently who sold a customer a laptop and then the shop assistant offered to install Microsoft Office for her from a memory stick for P500, to help her “save some money”. It was only later when she realised that this might not have been entirely proper. That shop assistant has now been suspended and probably won’t get his job back. He’s shown he can’t be trusted not to steal from either Microsoft, his employer or their customers. And then there are psychics. You can’t trust them either. You’ll have seen the recent story from the USA where three young women were freed from the clutches of the man who had abducted, imprisoned and repeatedly raped them for a decade. The story is appalling but at least there was some good news when the women were finally freed. However in 2004 the mother of one of the women, Amanda Berry, was part of the audience of the Montel Williams TV show when his guest was the “psychic”, Sylvia Browne. When the mother asked Browne for news on her daughter, Browne replied “She’s not alive, honey” seemingly not knowing that she was alive in a Cleveland dungeon at that very moment. To add to the tragedy, Mrs Berry died a few years later thinking that her daughter was dead, never to know the truth. Browne has made a career of making up stories like this. She says she’s helped find many missing people and to have helped solve murder cases over the years but despite claiming to have a success rate of “somewhere between 87 and 90 percent” she has, according to skeptical investigators, never solved even one. She’s a liar and a fraud. “Psychics” like Sylvia Browne are repulsive exploiters of distraught and desperate people, just like anyone claiming to have supernatural, magical powers. Just like the traditional healers who offer miracle cures for everything from lost love to AIDS, they’re either stupid, deranged or liars. Some of them are all three. The lesson is a simple one. Only believe those people who have already shown themselves to be believable. Treat everyone else as untrustworthy until there’s evidence to the contrary. I ordered some clothes to be made from a dressmaker and paid a deposit on the 15th March. The agreement was I will collect my skirt and blouse end of March and pay the remaining balance then. He failed to deliver on time and we agreed that I would give him an extension. He kept making promises and still failed, while I keep going to his place spending my resources (time and fuel). I gave up and proposed to him that he refund me my money, a suggestion he refused. I would call him, he would ignore my calls. On 2nd May I went to his place demanding to at least see the material he is working on, only to realise the material has not been bought. I insisted that I would not go anywhere until he started cutting the material. He immediately sent his Receptionist to go and buy the material and I waited and watched as he cut the material for the skirt. We agreed that I come for the clothes on the 2nd May. I decided not to go and rather planned to go on the 3rd. His Receptionist called me earlier in the day and told me not to come. I asked to speak to her boss at least be given a date of when to come for my stuff but he refused to talk to me. He has not communicated up to this day. I feel I cannot keep going to his place and not getting any service. Thus I’m contacting you to assist me. You’ve been patient enough. Clearly this guy can’t be trusted and I think it’s time to walk away. I suggest you write him a letter saying that you are cancelling the order because of his failure to keep his side of the bargain. Make it perfectly clear that you no longer want him to make the clothes at all. Then tell him that unless he gives you a full refund of your deposit within 3 days you’ll be going to the Small Claims Court for an order against him. And then tell everyone you know not to use his “services” because he can’t be trusted. Do banks have authority to take money from one’s acc without their authorization? Five to seven years ago I bought a car from a dealer with a loan from my bank. The car was never in good condition and as such I returned the car to them after having consulted the bank. They agreed that the dealer was not honest with me from the onset so they asked him to fix the car which he refused and they took the car and I am told they sold it. Last week I realised that they took money from my personal account saying that they sold the car and there was a shortfall which I have to pay so I just wanted to know if this is legal? In fact the bank can do pretty much anything they like with your money, definitely if you owe them more than they owe you. If you take a look at the agreement you signed with your bank all those years ago you’ll find a section that says that if you owe them money in one account and you have money in another account they can, if you cause them any trouble, move money from the account with the positive balance to the one with the negative balance. Causing them trouble can include things like being late with payments, taking longer to repay a debt than agreed or if they don’t like your new hairstyle. Ok, maybe not that last bit but there probably a clause with allows them to do it for whatever reason they can think of. In your case I guess that the resale value of the car was less than the amount you owed them so they were entitled to move your money around. However, they should at least have had the decency to tell you about this beforehand. They should also have given you the opportunity to agree a plan that wouldn’t ruin your finances. Olebeng from Belshane Properties for his “always rapid and efficient service”. 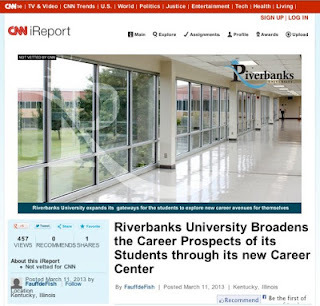 Yet another fake university - Riverbanks "University"
A new one has recently emerged to add to the long list of fakes. This time it's "Riverbanks University" who have the usual glossy web site, online chat facilities and no physical presence at all. That's because Riverbanks "University" isn't real. The usual clues are there. The domain, riverbanksuniversity.com, was only created in February this year. The pictures of their "faculty" members are stock photos, not the people they claim to be. They're also the same pictures used by other known fake universities. They claim accreditation by UCAIS but this isn't true. The best evidence though is this chat I had with their online advisor this morning. Richard Harriman: Can you tell me where Riverbank University is based? Richard Harriman: I have a Bachelors degree in Psychology, how quickly can I get a Masters in Psychology? Advisor: Where did you get Bachelors Degree completed from and when ? Advisor: And what experience you hold in Psychology ? Richard Harriman: How long does the course take? Advisor: Have you filled in the application already ? Richard Harriman: Wow, so I just get the degree? Advisor: What we do is we take down your life experience, that is your working experience and your past educational qualification, convert them into credit hours, if these credit hours are equivalent to the credit hours that are require to complete your desired degree then you qualify and we award the degrees accordingly, if you are successfully evaluated we start with the registration process registering you and your documents with the university and the Accreditation bodies and after that we make sure that the documents are shipped out to you in the next 10 working days. Advisor: do you understand the process ? Richard Harriman: So I get a Masters degree for just $298? Isn't that all you need to know? 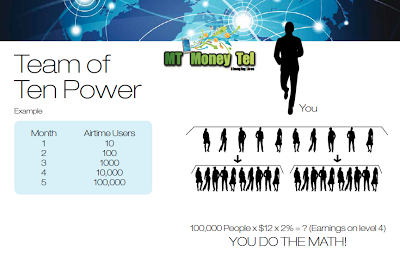 Thanks to my good friend Kasey Chang for noticing MT Money Tel in Zimbabwe. It's not hard to establish that this is a pyramid scheme, the clues are on their own web site. Are these images enough evidence for you? 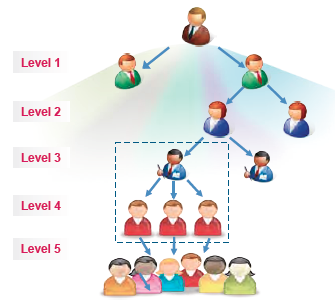 I still find it surprising how many pyramid schemes include diagrams showing pyramid structures. And in 5 months you'll have recruited 100,000 people beneath you? Really? And then there's the money they imply that you can make. At least this one is honest. Recruiting 20 x 10 x 10 x 10 people (that's 20,000), you'll only "earn" a few thousand dollars? Luckily others have noticed this scheme and there are warnings about them all over the web. Be warned. They're only just across the border. How long will it be before we see them or a clone of them here as well? Occasionally the people we deal with are nastier than average. They’re nastier than the banks, nastier than the cellphone network providers and nastier than dodgy car importers. They’re even nastier than furniture stores and loan sharks. They’re very, very nasty. They’re the ones that might kill you. He went on to say “people of Botswana I do helping them in Mafeking south africa”. You know that it’s OK to judge someone by the quality of their English, don’t you? Let’s start with the obvious. Whether you like it or not, regardless of your position on the termination of pregnancies, it’s currently illegal in Botswana. We all know that it happens in backstreets, we all know that it happens legitimately by women crossing the border into South Africa to have it done legally there. But it’s illegal to induce a termination in Botswana. So that’s a crime. It’s also grossly improper to offer any medication as potent as a termination pill without a medical consultation, without seeing a doctor, without a prescription. It’s also illegal to have dreadful English if you’re a doctor. Yes it is, honestly. Well, if it isn’t it should be. So he’s a quack, I think it’s safe to assume that. But he’s a quack that claims to perform terminations by post. How does he do this? I then asked whether the pills he was offering were normal medicines. Given that he’s already been shown to be a quack healer selling good luck potions I wondered whether he was selling something unorthodox. I assume he’s used to dealing with slightly more gullible people because that’s when he lost patience. He phoned me. Given that I don’t sound like a pregnant woman on the phone I grabbed the nearest woman, Her Majesty, and got her to take the call. Using her special sad voice she spoke to him and asked him how he could help, confirming that she was six months pregnant and desperate to terminate. He told her that she should feel free to take the medication he would send her. So what exactly was it he was planning to send her? Misoprostol is NOT a herbal concoction, it's the real thing. It’s a very powerful drug that really IS used to induce terminations. "Uterine rupture has been reported when Cytotec was administered in pregnant women to induce labor or to induce abortion beyond the eighth week of pregnancy". So our friend is peddling drugs, knowing that it's incredibly dangerous. Anyone taking the wrong dose of this, or who takes it after the eighth week of their pregnancy is running a major risk. Any doctor selling such potent medication without even examining the patient deserves to be behind bars. Anyone who isn’t a doctor but still sells these drugs is also a criminal who deserves to be behind bars. But maybe you think he’s doing it with the best intentions, trying to help women in distress? Not a chance. He's a crook and he knows it. I sent him a final message asking if he was a doctor of medicine. His response speaks for itself. “Am a doctor, and did told u to come to my bunch as u know that is not allowed in Botswana even in south Africa they allow 12 weeks but am trying to help u but u asky alot of Questions”. So he knows he’s peddling drugs illegally in two different countries. He’s a crook and he knows it. 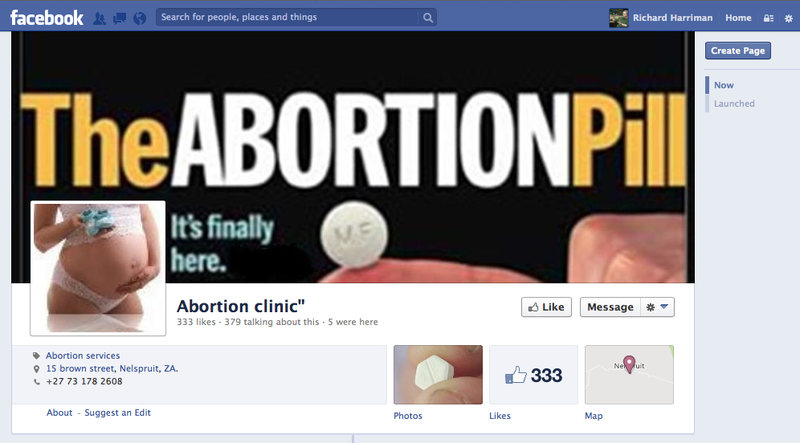 Of course it’s possible that he’s not shipping Misoprostol at all, it might just be a sugar pill. In which case he’s still a lying, cheating criminal who deserves to be behind bars. I contacted our Ministry of Health and they were appalled to hear about this. They’ve promised to take action and inform the public of the risks. I’ve also informed the South African Health Department to see if they can’t take this crook off the streets. Here’s hoping. I’m sorry to sound unsympathetic, I really am, but what made you think you could get a degree without earning it? What made you think you could get any qualification without sitting exams, without submitting coursework, without reading any books and without DOING ANY WORK? I know that’s fake and I know you did as well. People don’t get degrees based on “experience”. Everyone knows that. This so-called university is part of an operation called Organization for Global Learning Education, started by a crook in Pakistan called Salem Kureshi. The fake establishments in Kureshi’s bogus empire also include “universities” calling themselves Belford, Panworld, Headway, Corllins, Ashwood, Rochville, MUST, OLWA and McFord. Anyone with a degree from any of these fake establishments has a fake degree and they know it. Unfortunately I don’t have any good news for you. Your money has gone, you’re not getting it back. Scammers don’t give refunds. And people who buy fake degrees don’t really deserve them, do they? I need an advice here. There is this company called Worldventures, it specializes in leisure. Sign up is P3,000, its a pyramid scheme too, is it legit? Or you guys have had some cases about it? A part of me want to sign up but I need your advice first. I was approached, I attended a presentation sometime last year in President Hotel, end of November to be precise. So is it a scam??? WorldVentures is yet another pyramid scheme, operating along the same lines as TVI Express which ripping off Batswana a couple of years ago. Both claim that they’re in the business of selling holiday discount vouchers and they say that these vouchers can drastically reduce the price of holidays, hotel stays and travel in general but that’s just untrue. They’re just a pyramid scheme pretending to have a product. Let’s state this very clearly. A discount voucher isn’t a product, it’s a reduction in the price of a product. What they’re really interested in is you recruiting more and more people beneath you, forming the pyramid that makes them so much money. 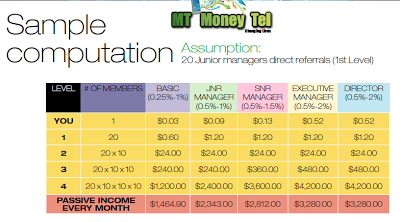 WorldVentures are required in the USA to publish their earnings (links to a pdf file) figures and they tell the real truth. 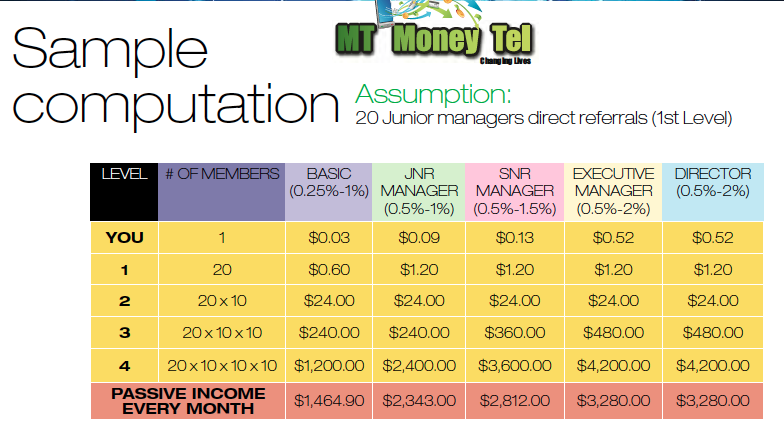 Three quarters of all people who join WorldVentures don’t make a single cent. 90% of all the money earned in WorldVentures is earned by the top 1%. Only one person in a thousand makes more than average national earnings from the pyramid. It’s a waste of time, effort and money and I urge you not to become a victim. If you want a discount in a hotel, there are plenty of ways to get them without coughing up loads of cash to join a pyramid scheme. Join a hotel loyalty club that offers you something for free, or use web sites like Bid2Stay in South Africa. As you read this I will be staying in a suite in a hotel in Joburg having paid less than half the normally quoted price, just because we visited Bid2Stay. What did it cost us to get the massive discount? Not a single thebe, just a visit to a web site. Pyramid schemes don’t make you rich. They make you poor. I think everyone knows by now what I think about store credit. It’s abusive, often based on deception and is a staggeringly expensive way to buy things. It’s also incredibly risky, mainly because stores neglect to explain to customers how their credit agreements actually work. That’s why we hear so often of people ending up hideously in debt, deeply unhappy and with their financial reputations ruined. Our recent undercover survey of furniture stores confirmed this. All of our mystery shoppers were told that they would be allowed to read the credit agreement only at the time they signed it. Without exception. I think that’s wrong, morally wrong. I think it’s deliberately deceptive and stores should stop it. But why do they do it anyway? Why do they go out of their way to keep their customers in the dark? That’s simple. They don’t want their customers to know what the agreements contain because if they did a lot of them would run away screaming. Given that furniture stores make most of their profits from moneylending they have to protect that part of their business above all things. Most importantly the stores never, and yes I mean never, take the time to warn customers what will happen if things go wrong. They fail to explain that if the customer has a problem paying his or her instalments and the goods are repossessed they will still be lumbered with the debt. Repossession of the goods doesn’t mean the agreement is cancelled, it just means you’ll owe the store slightly less money. Until debt collectors get involved when the debt will just get bigger and bigger. So what should be done to protect consumers? What can we do to prevent more people falling victim to this deception? I think I know. We need action from authorities. My personal preference is for NBFIRA, the Non-Bank Financial Institutions Regulatory Authority to get involved. Partially that’s because it’s their job to do so. The Act that created NBFIRA says that two of their objectives are fostering within non-bank financial institutions the “highest standards of conduct of business” and “fairness, efficiency and orderliness”. But can NBFIRA regulate furniture stores? Yes, it can. The Act lists the various types of companies that NBFIRA covers, including the usual suspects like micro-lenders, insurance brokers and pensions funds but most importantly it specifically mentions “finance or leasing” companies. That means stores that sell on credit. The other reason I’d like to see NBFIRA on the case is their track record. They’re effective, aggressive and get things done. They know their job and they’re not afraid to get their hands dirty doing it. The problem is that NBFIRA is already incredibly busy, dealing with loan sharks, insurance and pensions firms. It’ll be a while before they can turn their attention to furniture stores but does that mean nothing can be done? Certainly not. I think we can deal with this rather quickly. I think we have another weapon that can be used. They already forbid a store from “causing a probability of confusion or of misunderstanding as to the legal rights, obligations, or remedies of a party to a transaction” but I don’t think that’s enough. I want a new regulation dealing specifically with credit purchases. But, you might ask, don’t we have to pass a new law to do that? Don’t we have to involve Parliament, committees and endless consultation to get that done? Nope. Section 17 (1) (g) of the Consumer Protection Regulations states that “acts of unfair business practice” can include any “method, act or practice that the Minister may, upon the recommendations of the Director, determine, by Order, to be an unfair business practice”. So let’s translate that. All it would take would be for the Director of the Consumer Protection Unit to write to the Minister of Trade and Industry politely asking her to order that stores shouldn’t be so secretive about their contracts. But isn’t it going to take ages to draft the new order? No, I’ve written it for them. They can start with this. "It shall be an unfair business practice for any supplier who offers products or services for sale by way of a credit agreement not to clearly and completely explain to customers, in writing and before the customer signs any agreement, the details of the agreement, the penalties that might be applied and obligations incurred in the event of default of payment, and the remedies available to the customer in the event of failure by the supplier to deliver the products or service in any way." Then we want another regulation that guarantees a cooling off period when credit agreements are signed. That would give the consumer a few days to realise their mistake and change their mind. This has already been done in many other countries and it’s a really useful protection. Yes, it’ll inconvenience stores, it might cost them some money getting their goods back, but we can protect them from that. The cost of the return can be taken from the deposit the customer gave the store when they signed the agreement. Then all we need is some enforcement. There is absolutely no point in having well-written laws and nice-sounding regulations unless someone is prepared to use them to protect the public. I received an email from Google this evening. This is what it said. I've removed the boring bits. "Blogger has been notified, according to the terms of the Digital Millennium Copyright Act (DMCA), that certain content in your blog is alleged to infringe upon the copyrights of others. A bit of background: the DMCA is a United States copyright law that provides guidelines for online service provider liability in case of copyright infringement." The post that someone has complained about relates to Salem Kureshi's Karachi-based Organization for Global Learning Education, the organisation that runs a large number of fake universities, including Ashwood, Belford, Corllins, Headway, McFord, MUST, Northern Port, OLWA, Panworld and Rochville "universities". All of these establishments are fakes. Their claim is that by referring to text published on another web site I have somehow plagiarized someone else's content. That person calls himself "Billie Jeter" but I can find no trace of who this might be, other than the owner of a blog called FraudSchoolFinder who claims to have posted the original text on his blog in September 2010. His only blog post. I deny this. Completely. 100%. I have only ever quoted a web site, not the one mentioned, and made a very clear reference to the web site I quoted. I haven't plagiarised anyone. However the web site that I quoted has now disappeared. So has my original post, despite Google saying that it would be reset to draft status, in fact it's been deleted. I don't mind. That was just one post out of 885. The message stays the same though. Fake universities are fakes, just the people who buy fake qualifications from them.